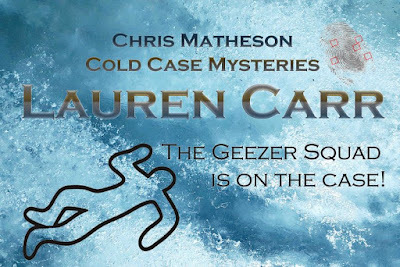 Book Readers Heaven: Lauren Carr Guest Post - Meet the Geezer Squad! Latest, Winter Frost, Out Today! 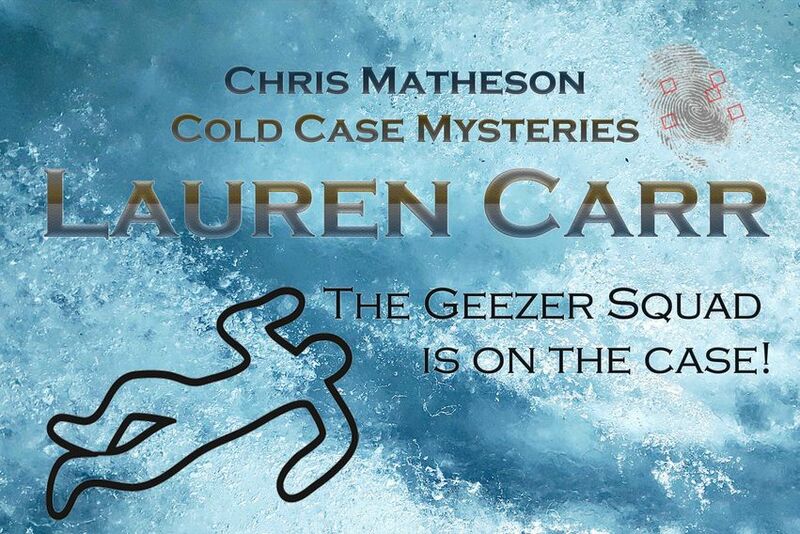 Lauren Carr Guest Post - Meet the Geezer Squad! Latest, Winter Frost, Out Today! 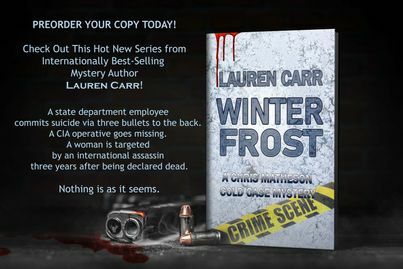 The second installment in the much-loved Chris Matheson Cold Case Mysteries, Winter Frost is scheduled for release January 28--Today! It is now available for preorder! 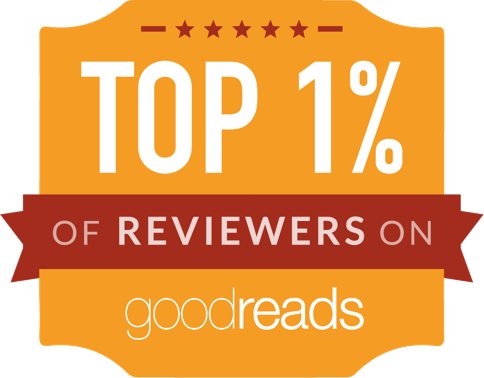 Readers and reviewers have immediately fallen in love with the protagonist Chris Matheson and his allies, The Geezer Squad. Below, learn about how Lauren Carr conceived this motley crew and who she’d envision playing them on the big or little screen. One evening, I was looking for a good mystery to watch on Netflix when I happened upon a true crime series entitled The Keepers, which explored the unsolved 1969 murder of Sister Cathy Cesnik in Baltimore, Maryland. As fascinating as this series is (and I do recommend it to any mystery lover), as a writer, I was drawn to the “detectives” investigating this cold case. They were former students of the victim. Now, decades later, retired, they were each using their individual skills to solve this case that keeps them up at night. For example, the outgoing former student would meet and talk to potential witnesses. The bookish one would scour the newspaper archives in the library. I couldn’t get the concept out of my mind. The writer in me twisted and turned the idea. In a matter of days, the Geezer Squad—a group of law enforcement retirees who work those cold cases that keeps them up at night barged into my imagination. This pushy group of retirees practically upended my current work-in-progress. Surprisingly, I discovered during my research that some police departments actually have Geezer Squads working on contract—retirees tasked with working cold cases. You will notice that I have named my new series The Chris Matheson Cold Case Mysteries. A retired FBI agent, my protagonist is a young retiree. Chris is in his mid-forties and the single father of three little girls. His wife died in a terrorist attack in Nice, France (more about that in Winter Frost). After the sudden death of his father, a retired state police captain, Chris returns home to the family farm to live with his mother, a library director. At his mother’s insistence, Chris agrees to attend a book club meeting at the library with Elliott, one of his late father’s friends. 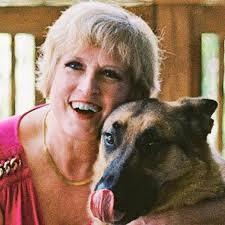 Since the club is made up of law enforcement retirees, his mother, Doris believes he would make some new friends. As you can see from this excerpt from Ice (the first installment in this series), she had no idea! Sitting down to eat, Chris noticed that he was the only one who had a copy of the book that Elliott had said they were covering that evening. Everyone else had folders and binders. Must be some heavy-duty reading group. One interview question that befuddled me is, “What actors do you envision playing your characters?” Truthfully, when I write a book, I don’t see celebrities playing any of the characters. They come to life as unique personalities all their own. For this reason, I’m stumped. However, for this guest post, I have done some “casting calls” and found some celebrities who I can see playing the Geezers. 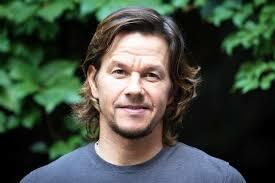 Christopher Matheson (Chris): Played by Mark Walhberg. Chris Matheson made his career in the FBI working undercover in a variety of covers. 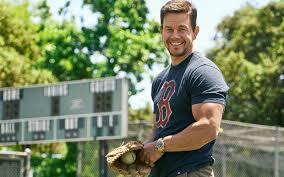 From what I have seen, Mark Walhberg is a very versatile actor who has played a wide variety of roles. I’ve seen Walhberg playing roles from sophisticate businessman to oil rig operator. A retired FBI agent, Chris takes care of his family farm, and I have no problem seeing Mark Walhberg cleaning a horse stall. 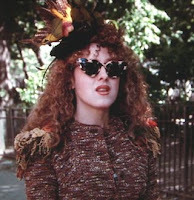 Francine Duncan: (Played by Bernadette Peters) Francine is a retired investigative journalist from the Associated Press. Divorced children and grandchildren living with her. Fast talking, she’s a scrappy character who isn’t easily intimidated. In Ice, when Chris leaves the library to follow up on a lead, she jumps up and follows without being invited. Short, she wears big sweaters and hats that she pulls down to cover her ears. She is not a clothes horse. Also, as you see in this excerpt, she has a great appreciation for attractive men. I can see Bernadette Peters with all of her curly hair flying out from under her hat while checking out Chris’s buns as he walks away. Bernadette can easily deliver Francine’s fast-talking lines with great comic timing. Jacqui Guilfoyle (played by Jamie Lee Curtis): Retired medical examiner from Pennsylvania. Widowed with no children. Lives alone in an elegant home on a mountaintop overlooking Shenandoah Valley. Jacqui is demure and classy. She is described in the Geezer Squad as having long blond hair and being very attractive. 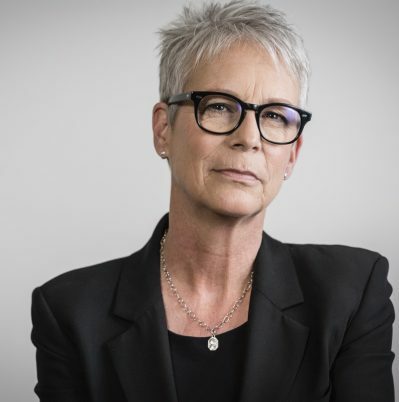 Yes, Jamie Lee Curtis has short gray hair, but the more important trait about Jacqui is her intellect and sophistication. Jamie Lee Curtis carries these traits off so well. Bruce Harris (played by Patrick Stewart): Retired attorney general from Virginia. Owns a winery in Purcellville, Virginia. His wife is an architect with her own firm in Leesburg. Has son in college. When I developed Bruce, I envisioned him having hair. 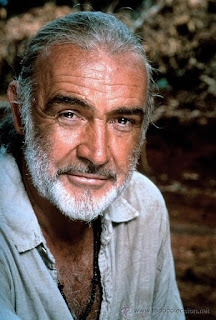 I was actually torn between Patrick Stewart and Sean Connery, but have decided on Sean Connery for Elliott, as I’ll explain later. Bruce Harris is the self-described devil’s advocate of the Geezer Squad. He figures the legal angles of their cases. Unofficially, he is the leader because he is a retired state attorney general. He tells them what they need to uncover to bring the perpetrator to justice. Also, as they close in the killer, Bruce thinks ahead to what loop holes the murderer may use to get off. Bruce’s character drips with elegance and breeding. He’s spent his life surrounded by wealth and power, which he knows very well—including the slimy underbelly. It’s a good thing he’s one of the good guys because he uses that knowledge to help the Geezers. Having played this role in Star Trek and the Mutants, Patrick Stewart is a natural. Ray Nolan: Played by Wallace Shawn: This Geezer established the cyberwarfare task force after 9/11. He was shot in the back by a homegrown terrorist and is now wheelchair bound. He lives with his daughter (who shot and killed the terrorist in a Chuck E. Cheese parking lot) and her family. His daughter is one soccer mom you never want to mess with. Many of you may not know Wallace Shawn, the actor I have chosen for this part. But I bet when you see his picture you will know him. 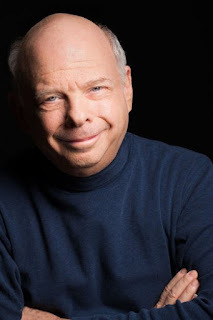 Wallace Shawn is one of those faces that you recognize but not the name. He’s got a distinctive voice and terrific comic timing, which is Ray’s strong suit. Elliott Prescott: Played by Sean Connery: Founding member of the Geezer Squad. He could tell you what he did before he retired, but then he’d have to kill you. Elliott Prescott’s past is a mystery. In Ice, he reveals a lot of knowledge about the drug trade and how they operate in the area. In Winter Frost, he tells a suspect that he’s with the U.S. Marshals. He’s mysterious and masculine. But he’s got a very soft spot for Doris, the widow of one of his best friends. In Ice, he shows up at a black-tie benefit to sweep Doris off her feet—so James Bond. So, it was only natural that a former James Bond would play him. not your average beauty queen. Doris is independent, strong, and intelligent. A take charge type of woman, she starts snapping orders when a woman goes into early labor. When the woman assumes she’s a nurse, she replies that she isn’t, but she did read about how to deliver a baby in a book. These actors listed are not who I was envisioning while writing the Geezer Squad books. So, when you pick up one of my Geezer Squad mysteries (and I hope you do! ), or if you have already read Ice and can think of someone else playing your favorite Geezers, then let me know in the comments section of this blog. It will be fun knowing who you would like to see in a Geezer Squad movie!